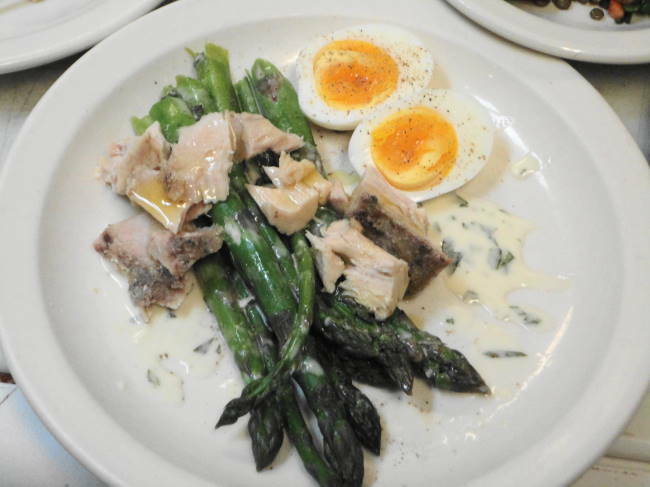 House cured tuna, Yakima asparagus, soft cooked egg and tarragon vinaigrette. The Spring 2014 menu at Cafe Presse was rolled out on Tuesday April 8, 2014. If you haven’t had a chance to come by and try it yourself, here are some photos of several of the dishes…Hope you will come by and try these as well as the rest of the menu. 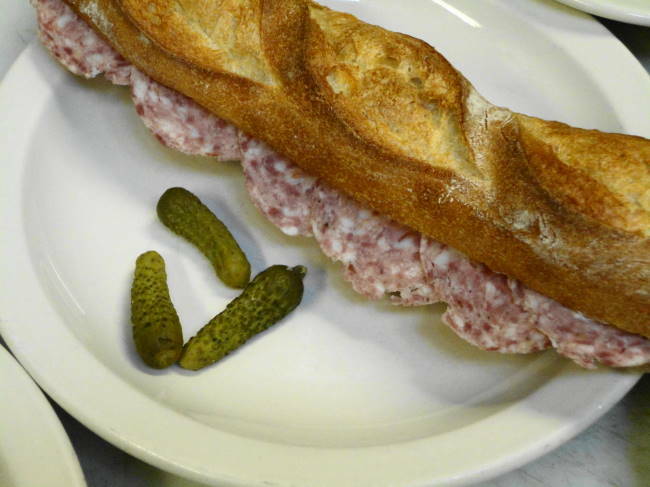 Sandwich with house-made smoked pork sausage. 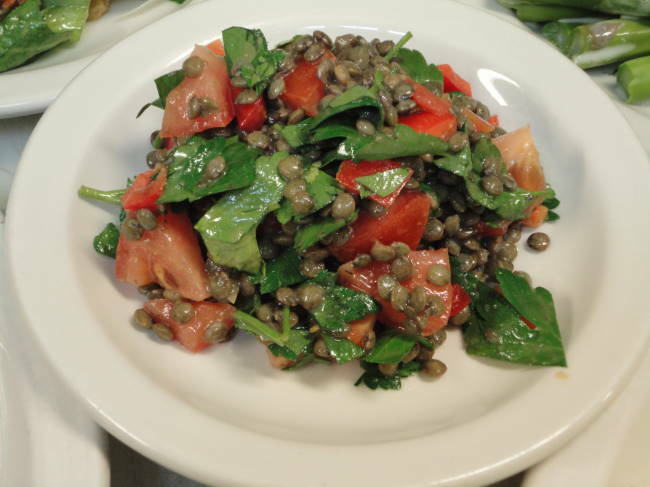 Served with our cold roasted half chicken, lentil tabouleh with red peppers, tomatoes, parsley and cumin vinaigrette. 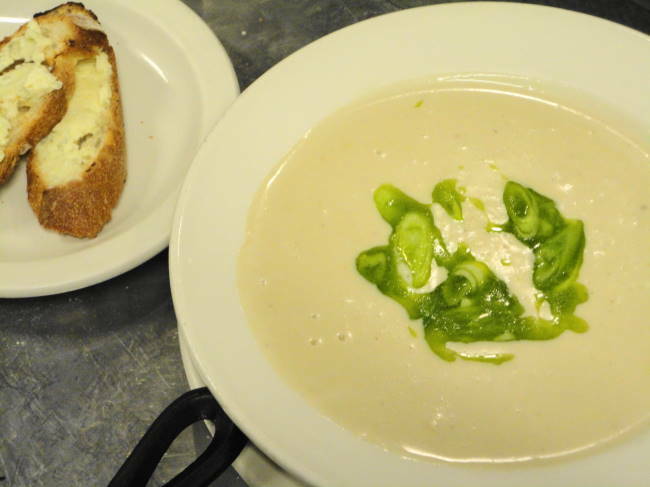 Creamy sweet garlic soup with marinated scallions and bleu cheese croutons. 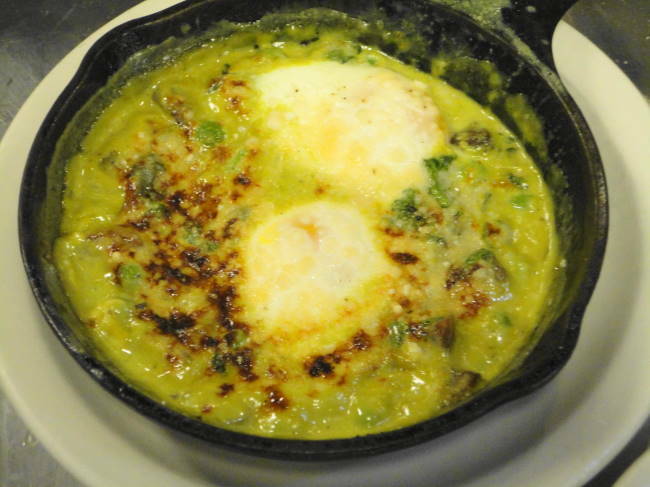 Two eggs broiled in a skillet with watercress, spring peas, mushrooms, watercress cream and parmesan. 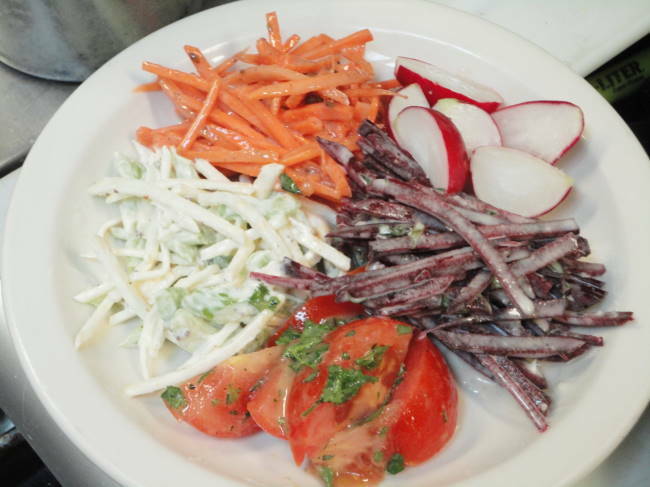 Assiette de crudites, a selection of raw vegetable salads. 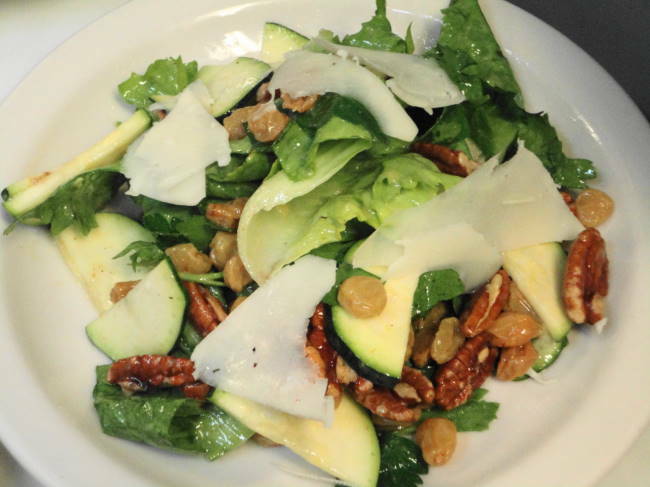 Salad of zucchini, escarole, pecans, sultanas, aged sheep cheese and a lemon-garlic vinaigrette. 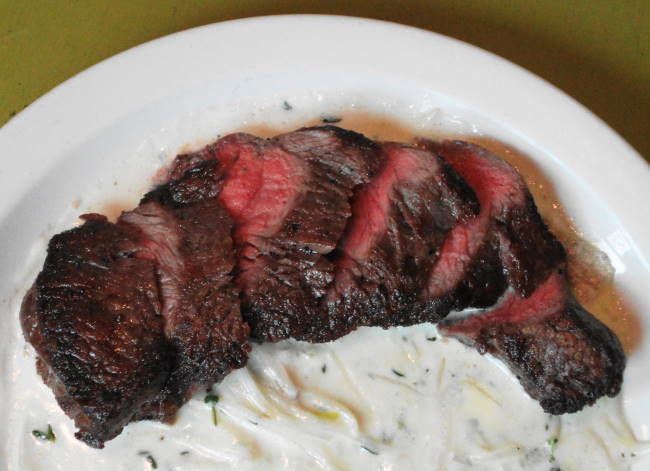 Steak frites with creamy bleu cheese sauce with shallots and thyme. 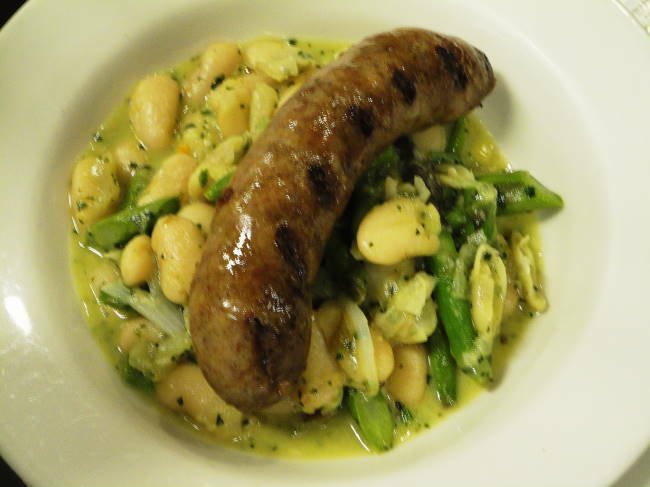 House made lamb-pork sausage, grilled, on white beans simmered with asparagus, spring onions, leeks and a mint pistou butter. 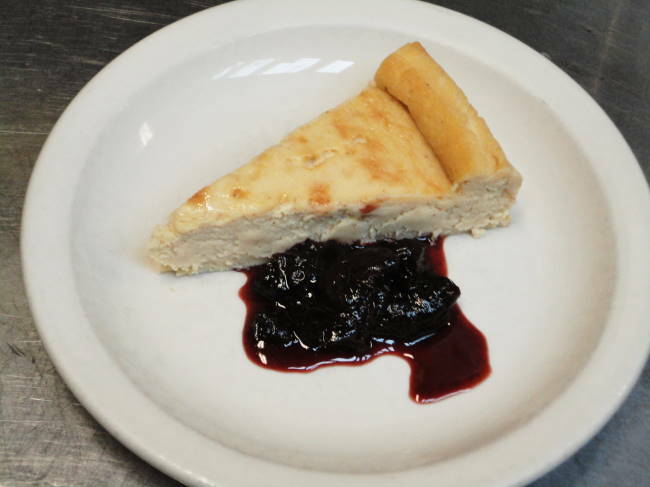 Toureau poitevin: rich ricotta cake with spiced red wine and cognac poached prunes. 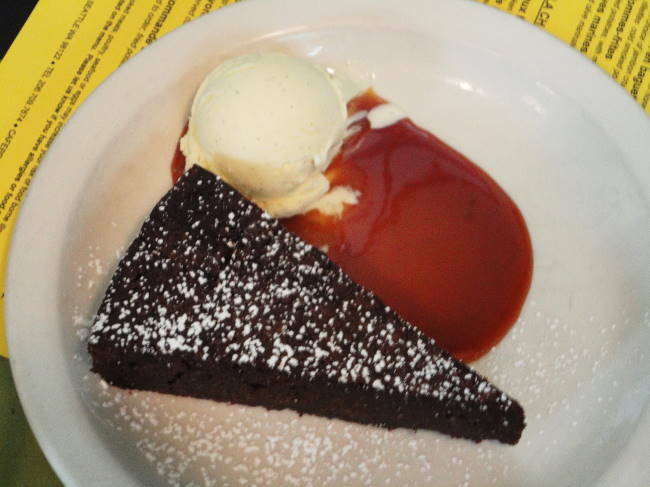 Chocolate gateau with vanilla ice cream and caramel sauce. This entry was posted in Stuff and tagged Beef, Cafe Presse, Charcuterie, chocolate, desserts, eggs, New Menu, pork, salads, soup, Vegetables. Bookmark the permalink.